Now mirri card is one of the hardest things to photograph but mirri card and acetate!!! !.......It's a nightmare! Apologies for the photos, these were the best ones! 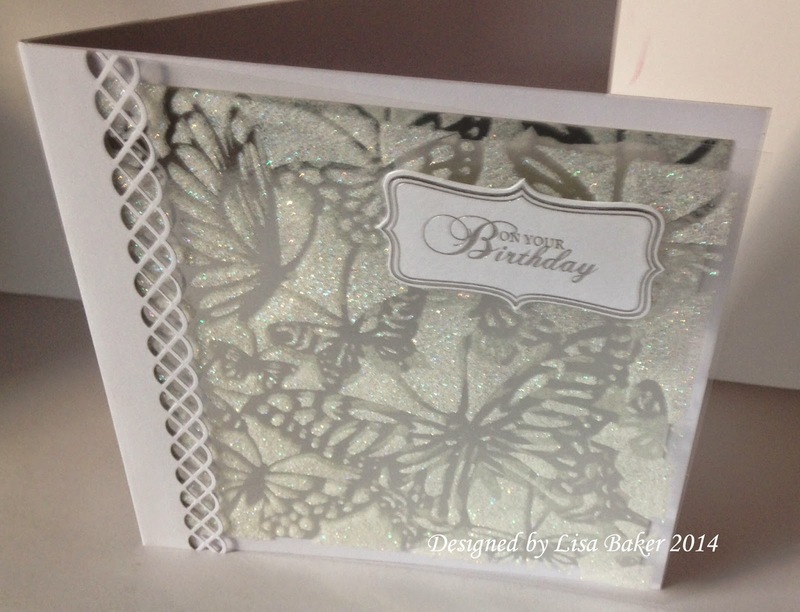 A piece of extra card to do a punched border to hide how you attached the acetate and a Craftwork Card message. I scored the acetate at 6 inches to leave 1 inch wrap around and used my Diamond White Sparkle Medium through my stencil directly on to the acetate. Leave to dry and attach to the card. Well, that is all from me for now, enjoy your day and I will be back on Wednesday. 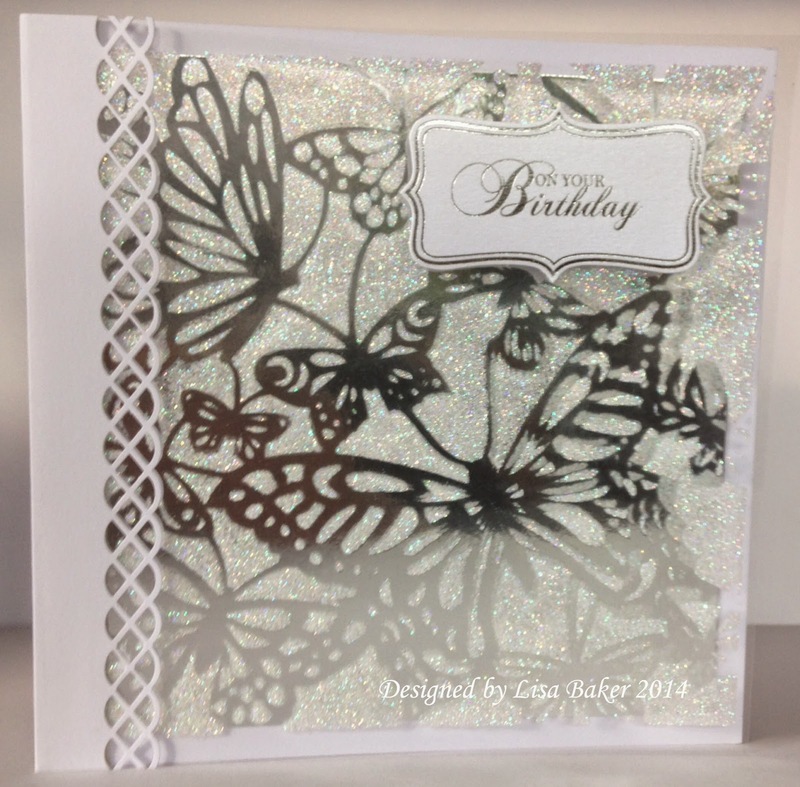 Love sparkle medium on acetate...beautiful card!